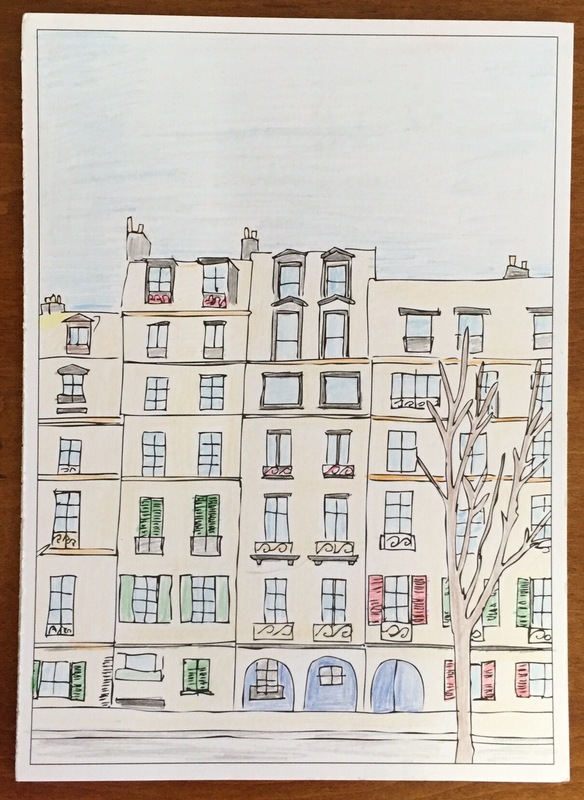 During my last trip to Paris this past summer I picked up a small packet of postcards you color in yourself. 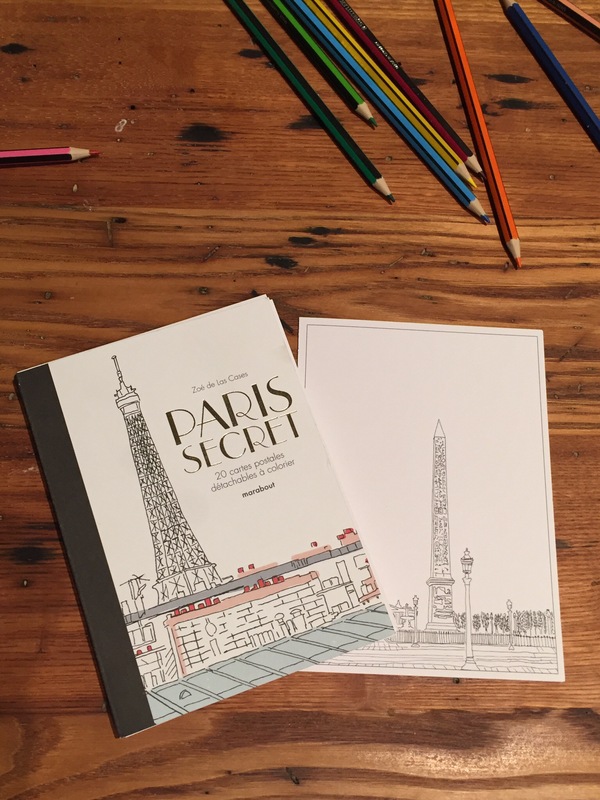 The packet includes great little drawing of charming Parisian street scenes, iconic building, and even pastries. I love getting absorbed in the coloring and not thinking about work, or any of the millions of other things that become preoccupations. I finally finished one! I’m pretty happy with the way it looks, especially since I don’t consider myself particularly crafty, and I can’t draw a straight line without a ruler. 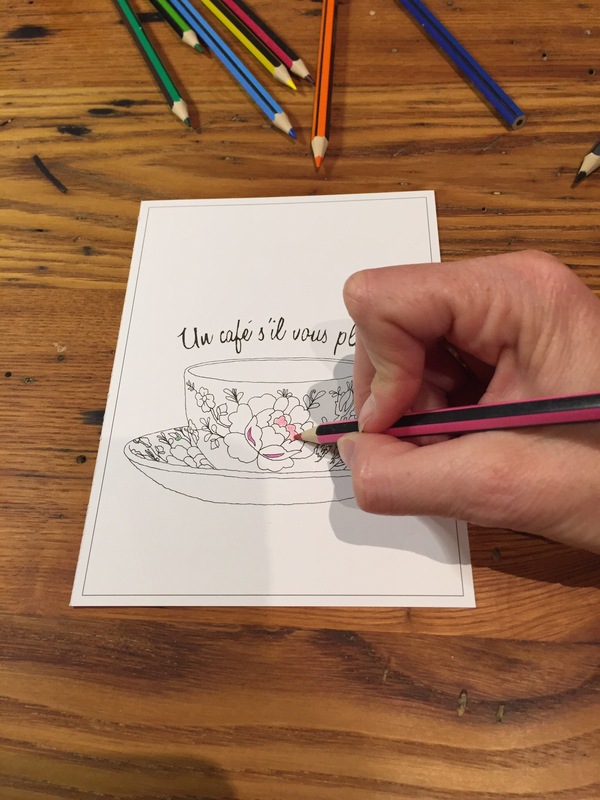 Adult coloring books seem to have become all the rage. They are great for de-stressing or relaxing after a rough day. And, when you’re done, you have a new, beautiful creation. 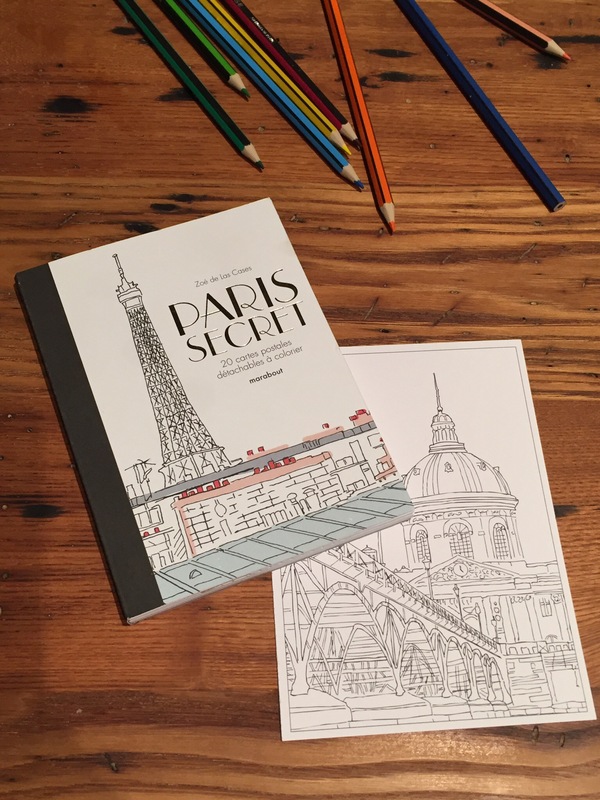 You can color in memories of your favorites cities, Paris, New York, and Tokyo, and other fun ones. Have you given one a try?